The 'management committee' of the Scout Group is the Group Executive. The two main activities of the Group Executive are the administration of the Group’s affairs and fund raising to finance the running of the Group. The money raised goes towards providing the equipment for our numerous adventurous activities, such as camping, sailing, canoeing and power boating, and to help fund the weekly programme of activities for all sections - the Beavers, Cubs, Scouts and Explorers. The Group Executive is comprised of parents of the young people from across the sections and is headed by a Chairman. Other office bearers are the Treasurer and the Secretary. The Group Scout Leader represents the uniformed leaders and each section also has a representative. The full Group Executive meets roughly 4 times a year, while the parent element meets additionally, as required, to organise fundraising activities and to discuss other administrative matters. Always welcome are new parent members of the Executive who feel willing and able to give their time and/or services. Volunteers should contact any member of the Executive or their childs’ section leader. The Scout Group is a charity, which is entirely funded by subscriptions, donations and fundraising. 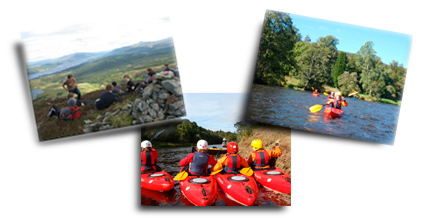 Our annual running costs include a weekly rental of the church halls and boat stores, approximately £25 per child each year payable to the Scout Association (principally to cover insurance for our activities), equipment maintenance and insurance, leader training, section allowances (for badges, materials, etc) and other numerous costs. We aim to recover gift aid on subscriptions and donations where possible. Our aim is for annual subscriptions to cover these running costs. A key part of Scouting for all the sections is outdoor activities. 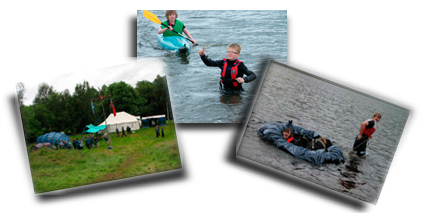 In Cubs and particularly in Scouts and Explorers we aim to include camps, canoeing, sailing and other activities in our programme. These all require a fair amount of equipment such as tents, cooking kit, canoes, dinghies, wetsuits, life jackets, etc. To help fund this equipment, the Executive undertake an annual programme of fundraising events, which have included ceilidhs, a May plant sale, Duck Race, bag packing, Loony Dook and a Santa’s sleigh. Any fresh fundraising ideas would be gratefully received as would any help and support parents can offer.